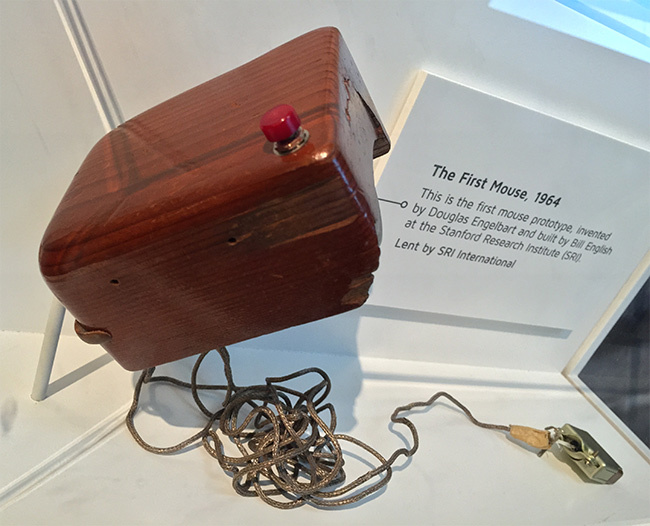 On the first of this month, the National Museum of American History in Washington D.C. re-opened its west wing, loaded with new attractions, among them the Places of Invention exhibit. While the entire exhibit is fascinating, a particular portion of it I found to be of particular interest and am certain that regular readers would find it likewise. The rise of the personal computer in Silicon Valley, Calif. in the 1970s–80s adds up how suburban garage hackers plus lab researchers equaled personal computing. 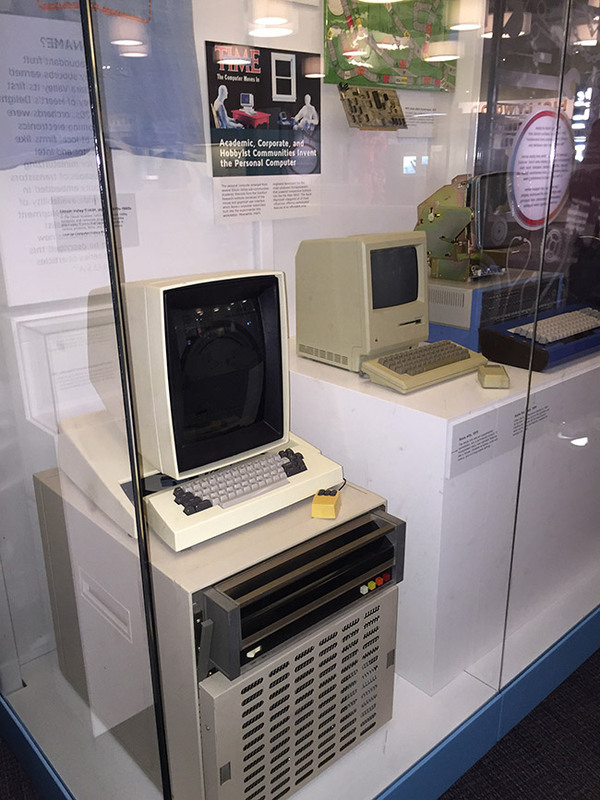 I recently visited the museum and there saw many legendary things, among them: the Xerox Alto; a MITS Altair 8800; Douglas Engelbart‘s (father of hypertext) invention: the first, wooden mouse; the original Macintosh computer; a general history of Silicon Valley at the genesis of personal computing; a hobbyists’ billboard pulled from the Valley’s long past; and a lovely display highlighting the work of distinguished iconographer Susan Kare. Kare started her career as an early Apple employee who created all of the icons and fonts for the Apple Macintosh, the first consumer-oriented computer featuring a graphical user interface, released in 1984. I’ve a particular fondness of Kare’s work and it’s that which drew me to the exhibit. While there, I took a few photos and placed a gallery online. Note the recreation of Ralph Baer‘s workshop located just outside the Places of Invention exhibit, complete with a Simon electronic memory game, “The Brown Box,” a video game system Baer created in the late ’60s, as well as it’s commercial incarnation, the Magnavox Odyssey which was the first game console ever to hit the market (1972). Have a look, and if you’re in any way able, make your way to the American History Museum and experience this excellent exhibit for yourself. This entry was posted in Macintosh, Multi-Platform and tagged Apple, computing, GUI, history, PARC, Steve Jobs, Steve Wozniak, Xerox. Bookmark the permalink. 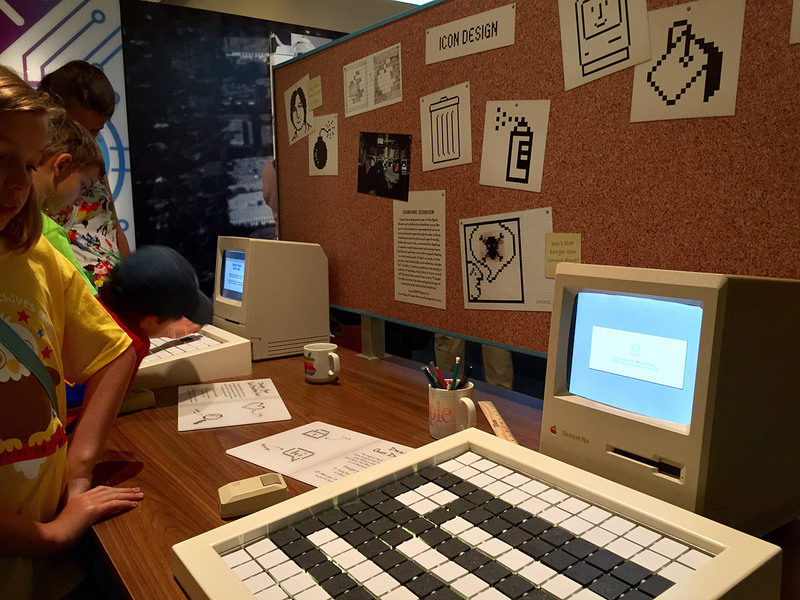 Not one TRS-80 or Commodore machine in the exhibit, as far as I can tell from your great photos. A crime! Anyway, glad to see they’re at least giving Englebart and Baer their due.